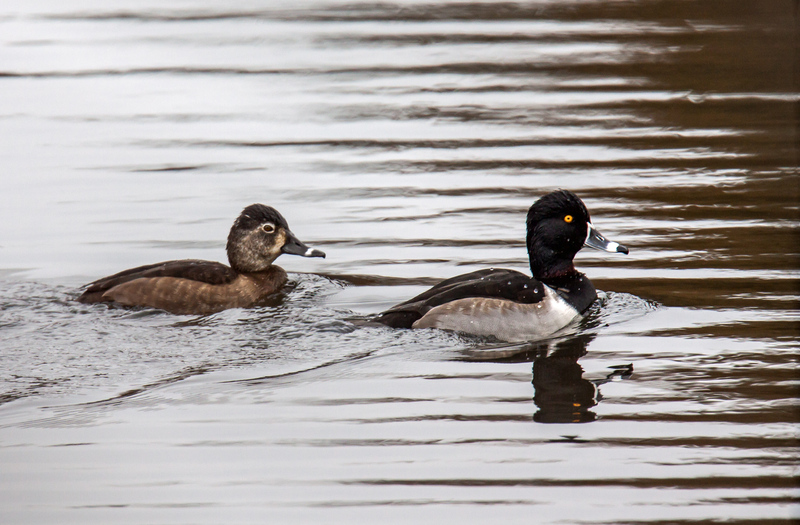 I am not sure what is so special about the small pond in Kingstowne, a suburban development not far from where I live, but every year about this time a group of Ring-necked ducks (Aythya collaris) shows up and generally spends the winter there. There are not too many other local places where I find this particular duck species. I know that Ring-necked ducks are diving ducks rather then dabbling ducks like Mallards and I wonder if the depth of the water in the pond is the determining factor in their decision. 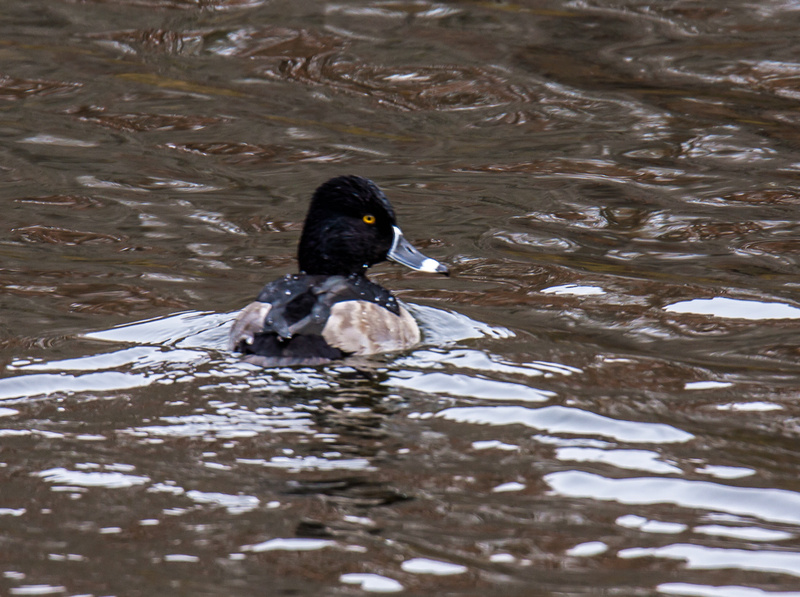 I am always happy each year to see the golden eyes, striped bills, and odd-shaped heads of these Ring-necked ducks. I’ve never seen this kind of duck – they are beautiful! 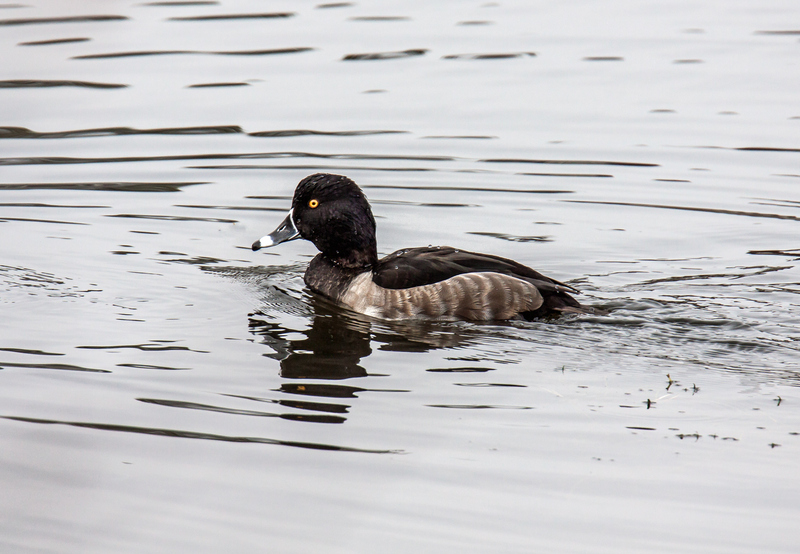 I checked out your link and the New Zealand Scaup does look pretty similar and, judging from the description, acts pretty much the same way as out Ring-necked Duck. Beautiful species, Mike! Love their striking plumage and golden eyes. Thanks, Chris. They are quite striking, particularly in this autumn season when most of the birds have very subdued plumage compared to what they have during breeding season. Greta photos, Mike. I remember seeing these near where I grew up in western Pennsylvania. I’m not sure I’ve seen them around here. We have ducks, but I’ll have to pay closer attention in the Spring.